There was a time when older Americans lived with a certain dread that they might end up in “the home.” The past few decades have seen the associated stigma of senior housing dissipate with an explosion of options that in some cases make today's “home” an appealing destination for an aging population. While advances in home care services make remaining in the family home an option for many seniors, it’s not a viable option for everyone. When a Senior Citizen, or their care giver, begin to examine options for their next residence a number of factors make each decision unique to the individual. Common to all decisions is an understanding of individual needs; healthcare, daily activities, desires, financial resources and availability of facilities in their area. Additionally, state licensing regulations often set standards that a resident must meet to be eligible for certain levels of care and should be investigated before the decision process progresses. Here we will present a basic overview of the various options available to today’s aging population and their care managers. Often open to individuals from age 55 up, this level of Senior Housing offers independence from a life-time of responsibilities associated with home ownership. It offers independence to live on your own schedule in your own home within a community replete with age appropriate amenities and activities such as fitness centers, trails, organized social activities, and some meal preparation. This is truly an amenity filled and maintenance free form of living for reasonably healthy adults and has become a growing industry with most cities of size offering a number of choices. Independent Living can, very broadly, range from $1500-$3500/month. The next step, and perhaps the most familiar, certainly the fastest growing, introduces a level of assistance with what the industry terms Activities of Daily Living (ADL), such as personal hygiene, assistance with medications, housekeeping, meal preparation. Living quarters typically resemble an apartment with perhaps a kitchenette. Communal meals are provided and the facility is staffed 24 hours a day. Other than assistance with medication, health care is not provided, although it is not uncommon for a nurse to be on staff and a doctor on call. Assisted Living provides a great deal of independence with just enough assistance. It is often the entry point on the continuum for seniors who are independent but expect to require greater care in the near future. Monthly rates average $2500-$5000. Along with Assisted Living, a Skilled Nursing Facility falls under the title of Long-Term Care and expands the level of assistance provided. While a Skilled Nursing Facility is often used as a short-term transition from the hospital to home for people, of any age, convalescing from injury or illness, for our conversation it is a facility that provides more extensive assistance with ADL, in conjunction with 24-hour nursing care and assistance. 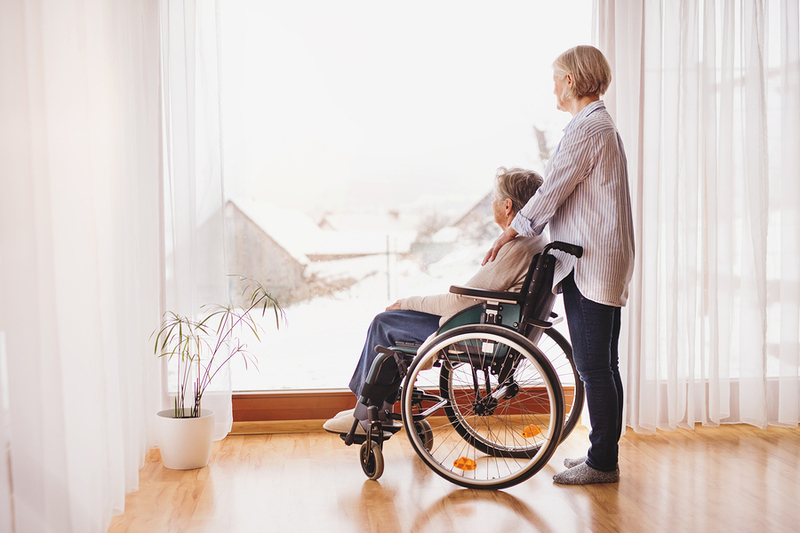 These facilities can be specialized, particularly around Alzheimer’s and Dementia care in which case they may be locked facilities adjoining Assisted Living operations. Skilled Nursing Facilities range from $3000-$8000 per month. These three broad categories are crisscrossed with variations on the themes. Research specific to the market in which you find yourself is advised. Additionally, the generation that explored communal living in its youth, is finding creative ways to approach alternative senior living in their golden years and might offer a desirable approach. Above all, it's most important to have your parent like the “feel” of the place where they will be living. In our next article in this 4-part series “Parenting the Parent,” we address financing long-term senior care. Please check back or follow us on Facebook, Twitter or LinkedIn to receive notifications of future articles in this series.